Health and fitness trackers have become very commonplace these days. It’s hard to meet a single person who doesn’t have a Fitbit, a Misfit, an Apple Watch or some other device that tracks steps, heart rate or sleep quality. That said wearable sensors for chronic diseases are starting to be developed in a similar way. These wearable sensors for chronic diseases have the potential to completely change the way patients provide data to their doctors and monitor their overall wellness. 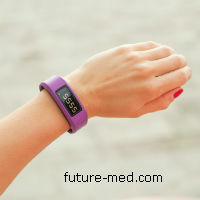 In this way, it can help patients to be able to play a greater role in their own health and monitoring. It can also help health care providers to obtain more information about their patients between appointments. Instead of basing results exclusively on the tests done within physicians’ offices, additional tracking data can be used. This can help to provide doctors with a more complete idea of a patient’s health. This type of high tech approach to health care is attractive both in areas where doctors are more readily available and places where it may not be as easy to see a doctor as often – for example, in remote areas in developing nations. The wearable sensors for chronic diseases open up the door for appointments held over video conference to assist those patients while providing additional data for patients who have regular doctors’ appointments. Recent surveys, including those conducted recently by YouGov and Trustmarque, have suggested that 81 percent of patients would be interested in wearing wearable devices for the purpose of improving their health care. Half the survey participants said they felt that wearable technology could possibly be one of the most useful ways to monitor people who are vulnerable. Moreover, doctors and health care systems feel that the use of this tech has potential not only to improve the accuracy of the care they provide, but could also be exceptionally cost effective. Director of Medical Collette Johnson of the Plextek electronics consultancy said that using self-monitoring medical devices has the potential to save the NHS (the National Health Service publicly funded health care system in England) at least 60 percent per patient who uses it. Moreover, Johnson feels that the public is ready to use this tech. This isn’t hard to believe considering how commonplace regular pedometers and fitness trackers have become. With the ability to connect those gadgets to computers and smartphones, the potential is practically limitless.